I think I would be a better person overall if I had more kale salads and fewer banana breads. I would probably be smarter, faster, funnier, and more exciting. We may never know. I’ve been really heavily biased in favor of lacinato kale lately instead of the typical curly kale that’s a little easier to find. I feel pretty confident that they’re all obscenely good for you though, so I should be excited about it no matter what kind it is. 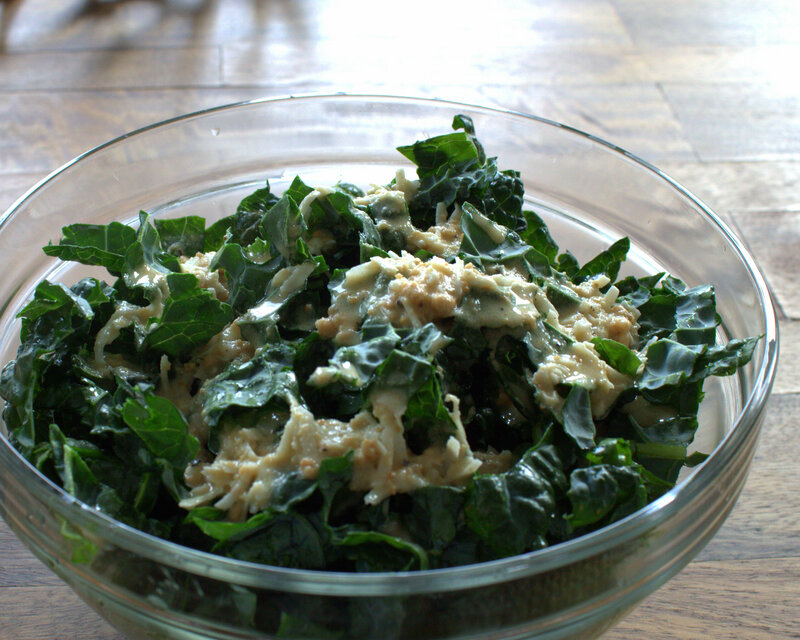 I had an awesome kale salad the other day with some leftover salt and pepper cashews that I had lying around, and I was SO excited about it that I wanted to have it a second time. HOWEVER, I had no more salt and pepper cashews… Bummer. What I did have on hand, however, was some leftover cashew butter, and I’d been struggling to find a home for it. Through the magic of the internet, I was able to get my hands on enough suggestions to put together a Cashew Butter Vinaigrette. And my favorite salad dressing of the week was born! 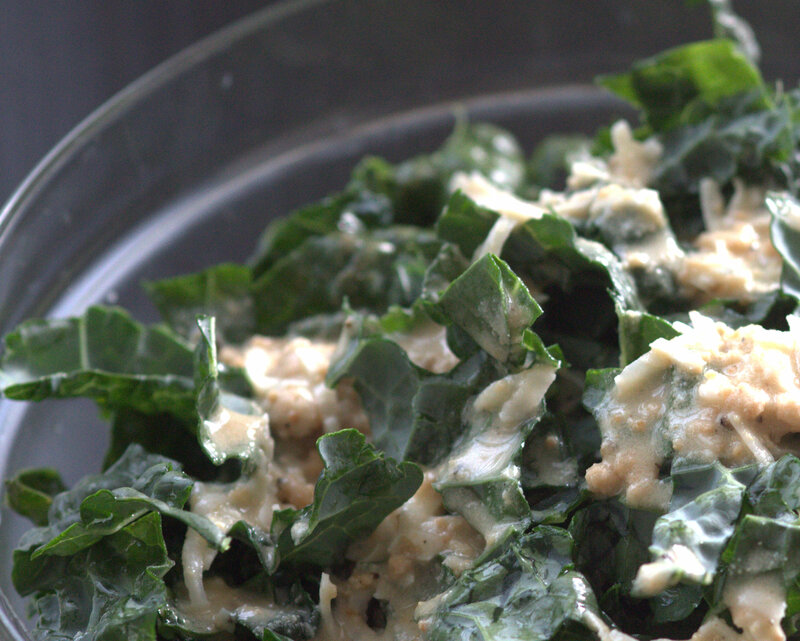 Alright, it isn’t the prettiest salad dressing. 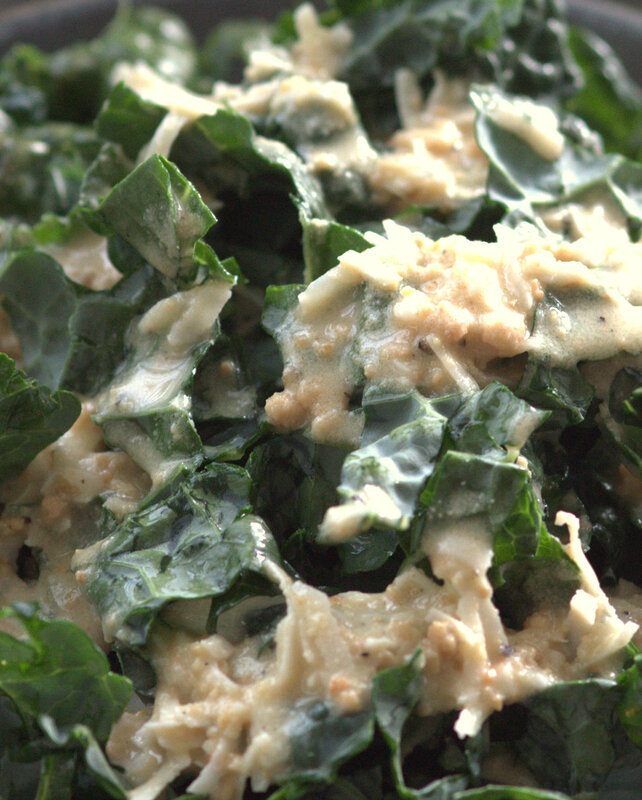 Combine all ingredients except for kale and whisk together to blend completely. The cashew butter will be a little bit thick, so it will take some serious mixing to make it smooth. 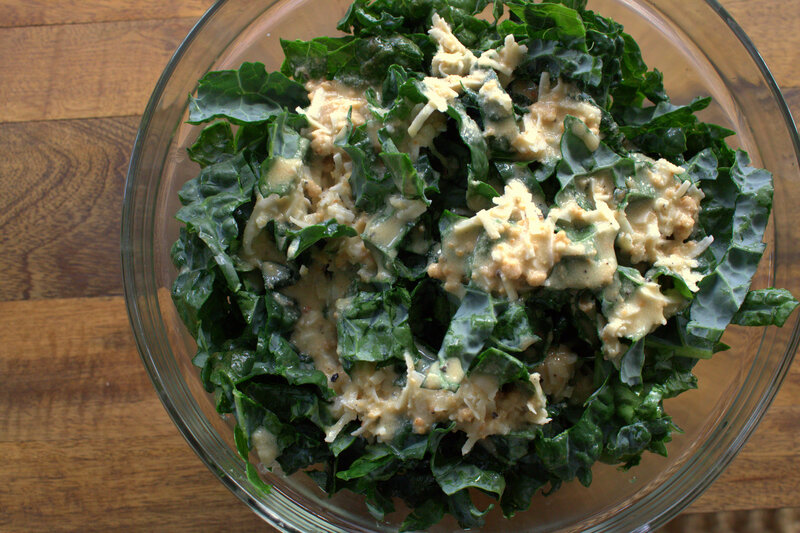 Pour dressing over chopped kale and MIX. Eat. 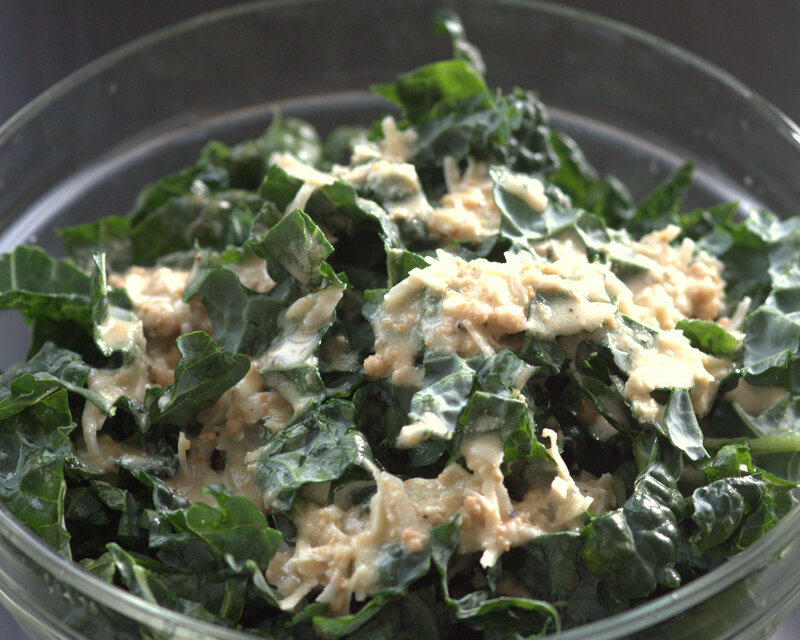 I resolve to make more kale salads happen. 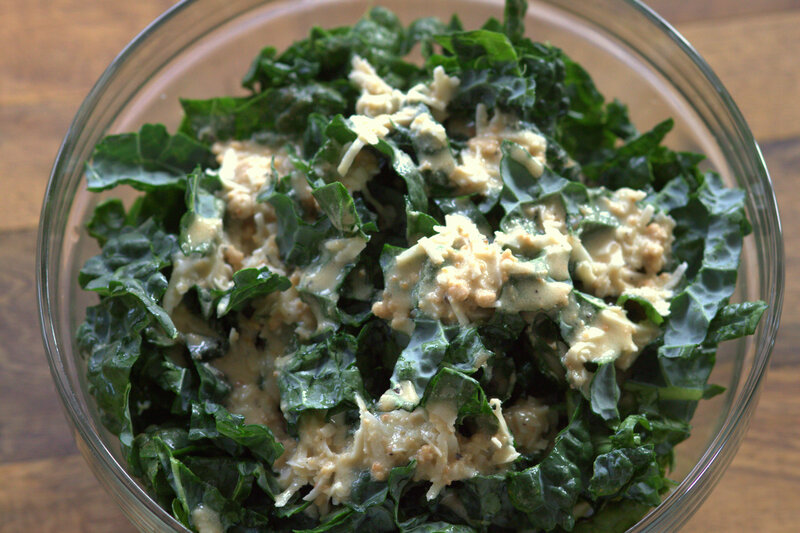 Kale salads might make you faster and maybe healthier but I refuse to believe they will make you funnier or more exciting. 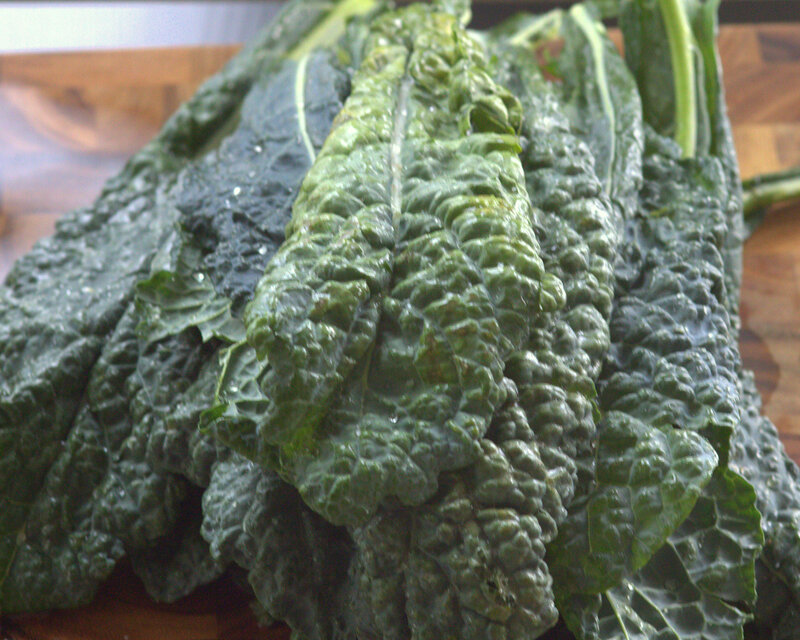 You are way beyond me with your kale knowledge in that there is more than one kind of kale. Who knew? Thank you so much! I agree – cashew butter is so under appreciated! Yeah! Under-appreciated was the word I was looking for 🙂 Love your blog name, by the way – it’s so creative! Thanks – I’ve been looking through your blog today too, and I’m really enjoying it!